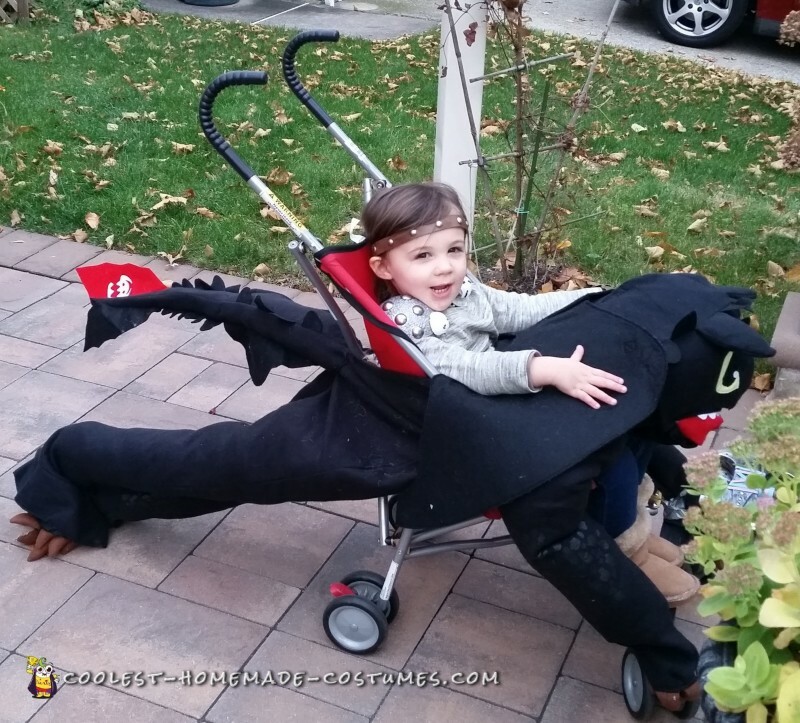 It started the day after Halloween last year, when my fiance thought of the idea to make our daughter a dragon rider with a dragon to ride on while trick-or-treating. 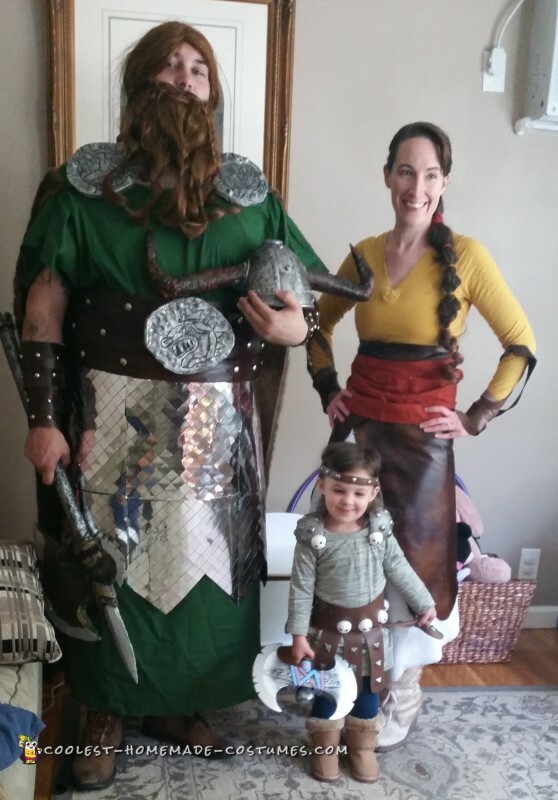 As this Halloween drew near, we made various trips to craft stores to gather our supplies…mainly faux leather, styrofoam, modeling clay, and hot glue…lots of hot glue! 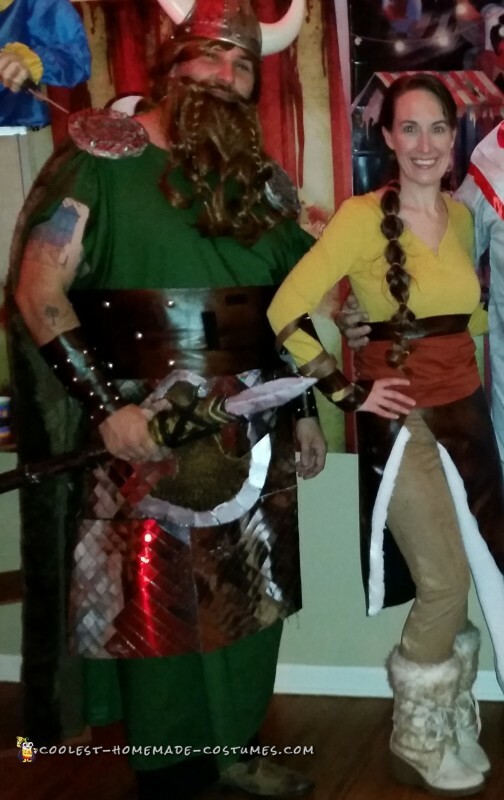 We started with Stoick and Valka, as we had an adult party to attend the weekend before Halloween. Our first night we learned that air dray clay needs 48 hours to dry (we had to substitute plastic horns for the clay made ones) and that self-adhesive velcro does not adhere well to faux leather…we lost a belt medallion and a skirt, haha! 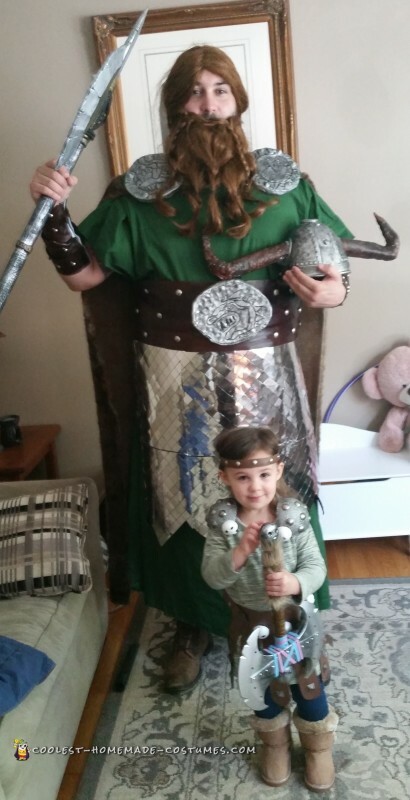 Round two, Halloween trick or treating we learned from our previous outings and carried extra safety pins/supplies with us! 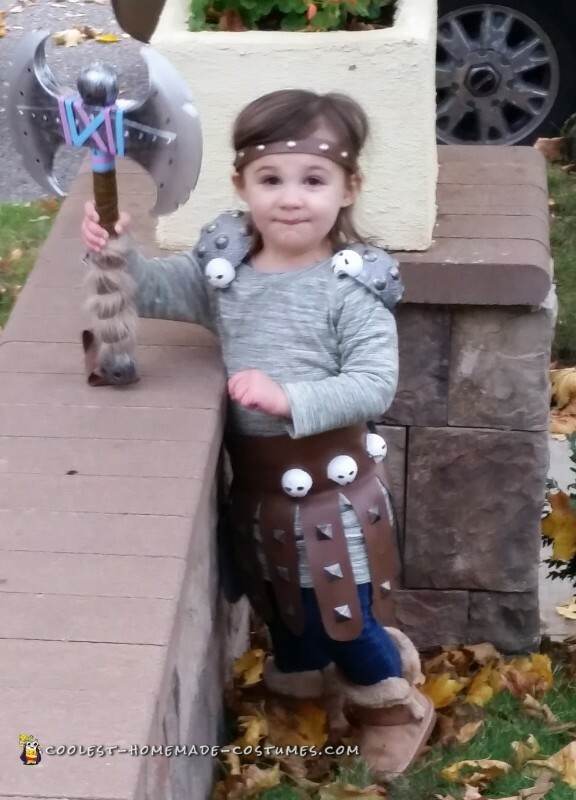 We only lost 2 spikes and a styrofoam skeleton from our 2 year olds’ outfit! Not bad! !